Yeah, I figured out about the Conti's. A shame as I really like them for reliability. I guess this is the point of tubeless though...doing away with the added security of puncture resistance for...the added security of puncture resistance. The airshot thing is pretty good if you don’t have a compressor. My Velocity A23s are tubeless-ready too. All I’d need is some tubeless rim tape and valves. Tempting to try. I’ve been using the Panaracer Race Ds EVO3 and they have been brilliant, so I’d give the Race A Tubeless a try. OK i hav a crap cheapo bike. Its time for an upgrade, Im not doing mamil italian racing uniform, but Im doing road riding, 20-30ks at a time. a few times a week. I know I can spend thousands, but Im thinking upgrade from entry. perhaps level pre loved. What should I get? are there any good forums where people sell these. Gumtree has plenty of cheap pre loved options. Just remember, second hand anything is buyer beware… The first question is always, what is your budget?? 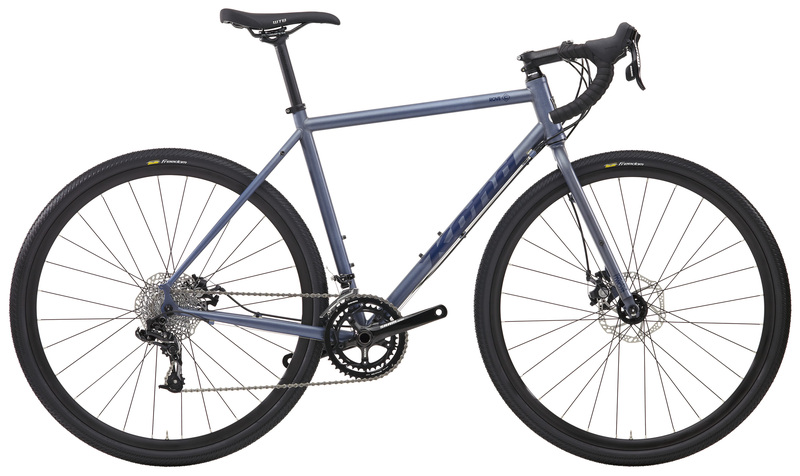 You can get a pretty decent bike for under $3K…but you also don’t need to spend that much. Gumtree has plenty of cheap pre loved options. Just remember, second hand anything is buyer beware... The first question is always, what is your budget?? You can get a pretty decent bike for under $3K...but you also don't need to spend that much. Sorry I wont do the mamil, EVER, I dont mind those that do, I actually prefer riding on my own. In comfortable clothing that doesn’t make me look like a Dcikhead. I do have repsect for how godamn fit some of those blokes are and Im not anti cyclist. Question on the expense of the bike, does i REALLY make THAT much difference? Or is the a pecking order based on the badge and how it is perceived? i think hybrid bike is best for me, looking at Giant roam. What is the difference beween 0, 1 and 2 disc? I looked at those a few days ago Tezza. The 0 is the highest spec of all the Roams. It’s components (derailleurs, forks, cranks etc) are a grade up from the 1 which is a grade up from the 2. Generally speaking it is lighter and the derailleurs etc run and change a bit more smoothly. I had a short ride on the 0 and it’s quite a nice ride, handles pretty well. I would choose the 0 it was quite a decent package, was quoted $1149. I have however decided to go down a different route and maybe get an “adventure” bike. What you pay for in a good bike is weight and the gearing system. The cheaper the heavier and the clunky the change is. Weight is your enemy when you encounter hills. Looks ok. What does it weigh? What’s weird is that it has a 9 speed shift and 10 speed cassette! Has anyone heard anything good/bad about these guys. https://www.yoeleobike.com/50mm-carbon-wheels-sat-t50-road.html?gclid=CNC7t7zVt9ICFUlxvAoddlACBw I am strong textLooking for a cheap carbon clincher wheelset. Lol, if you do 20-30 km in comfortable clothes, you will look like a dcikhead. Whatever you think of Mamil uniform, it is designed for a purpose. Unless your riding the beach or country trails at an easy pace, I would never ride serious Km without my uniform. Just got a new bicicleta, just a basic road one for now. What are good ‘computers’? I only really only want a basic speedo/timer/gps (too look at laterin maps or whetevs). Don’t need a heart rate monitor/cadence etc. Just something basic. Thinking of going with Cateye due to the fact I had one of those as a kid. Any other recommendations? They’re all a bit of a muchness. Cateye are fine, and if that’s what you’ve used before, then stick with what you know well. Wiggle have pretty comprehensive range of Cateye computers. Go for a wireless one. Also still getting the hang of this new software, saw similar questions after my post. If you want GPS mapping it will take you beyond a basic level wireless computer. You are probably better to do gps mapping on your mobile smartphone (via gps and mobile network, not the internet) - do you know how to do this?